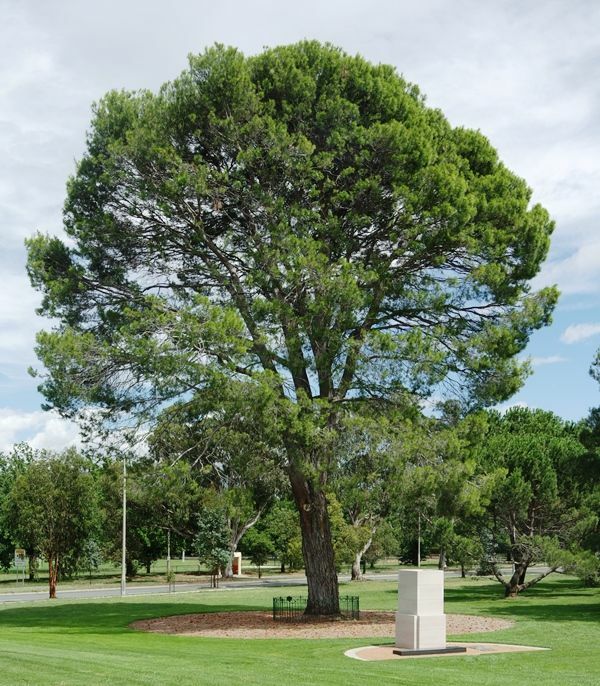 The Pine tree planted by the Duke of Gloucester in 1934 commemorates those who served in World War One. 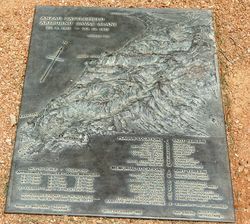 Planted by H.R.H. the Duke of Gloucester K.G., P.C., K.T., K.P., G.C.V.O. After the capture of the Lone Pine Ridge in Gallipoli (6th August 1915), an Australian soldier who had taken part in the attack, in which his brother was killed, found a cone on one of the branches used by the Turks for overhead cover for their trenches, and sent it to his mother. 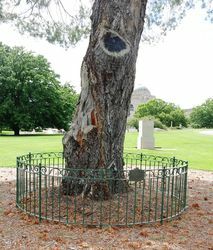 From seed shed by it she raised this tree which she presented to be planted in the War Memorial grounds in honour of her own and other`s sons who fell at Lone Pine. This tree grew from a pine cone collected by an Australian soldier at Lone Pine on Gallipoli. His own brother had died in the attack there on 6 August 1915, and afterwards he found the cone on the branches used by the Turks as overhead cover for their trenches. He sent it to his mother, who in time presented the tree to the Memorial in honour of her own son and others who fell at Lone Pine. 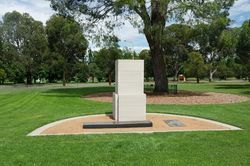 The artist Bertram Mackennal was so moved by the Australians` bravery and sacrifice on Gallipoli that he wanted to honour the Australians who fought there. His sculpture, War, portaying Bellona, a Roman goddess of war, was presented to the Commonwealth of Australia in 1920 as a tribute to the gallantry of the Australian soldiers in the First World War.